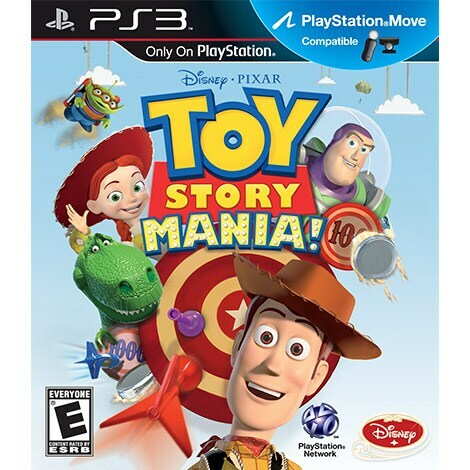 Inspired by the Disney•Pixar feature film Toy Story and the 4D Toy Story Mania! attraction at Disneyland Resort and Walt Disney World Resort, Toy Story Mania! is now headed exclusively to the Wii system. Join all the classic Toy Story characters in Toy Story Mania! as Woody, Buzz and the gang stage their own zany, fun-filled carnival! Celebrate the joy of play with family and friends of all ages and face-off in the ultimate living room showdown. Take a closer look at some of the carnival games waiting inside. © Disney/Pixar. Nintendo trademarks and copyrights are properties of Nintendo. Kinect, Xbox, Xbox 360, Xbox LIVE, and the Xbox logos are trademarks of the Microsoft group of companies and are used under license from Microsoft. "PlayStation", the "PS" Family logo and "PS3" are registered trademarks and the PlayStation Network logo is a trademark of Sony Computer Entertainment Inc.
As Buzz, Woody, or Jessie, you choose what activities you want to do and the order you wish to do them. 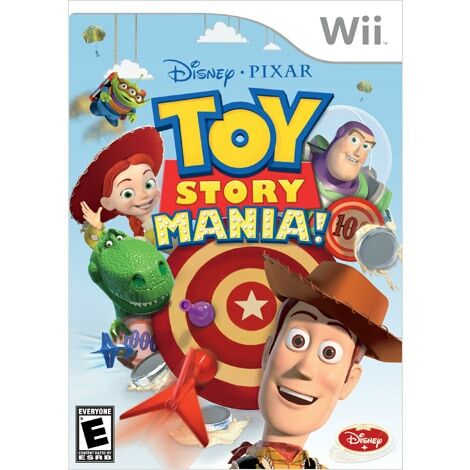 An action-adventure platforming game for Wii console that sends Mickey Mouse on an epic journey of creativity and discovery.